Wowee – has this been the week for new team announcements! A new year, a new opportunity for sponsors and athletes to play musical chairs. 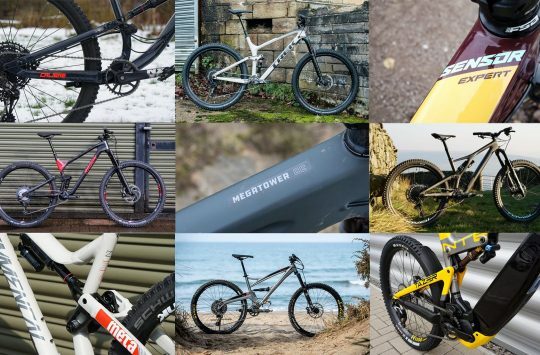 Aside from all the rumours flying about on potential team changes, we’ve had confirmation about the new Specialized Gravity team, the hilarious (and very well acted we might add) announcement of the new Santa Cruz Syndicate team, an intriguing partnership between Ancillotti & Formula, as well as today’s announcement of the new Ibis Cycles Enduro Race team. Jenny Rissveds and Nino Schurter’s race bikes for last year’s race season. 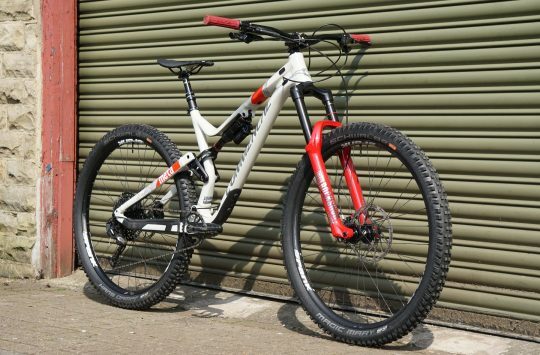 For 2017, the new team bikes will be running RockShox suspension front and rear, and Syncros components. In the XC scene, there’s been movings and shakings too. 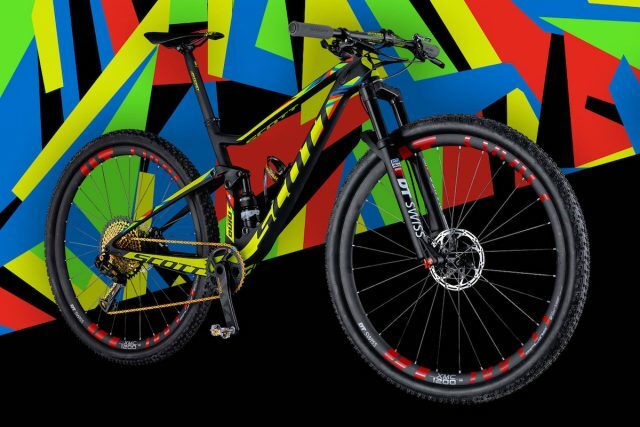 Some of the more notable moves have included Jolanda Neff joining Kross Bikes, Mathias Flückiger being signed to the new Radon Bikes team, and just two days ago, we finally heard where Marco Fontana was going for the 2017 race season. In more news, we’ve now had confirmation from Scott Sports about its new race team for 2017. 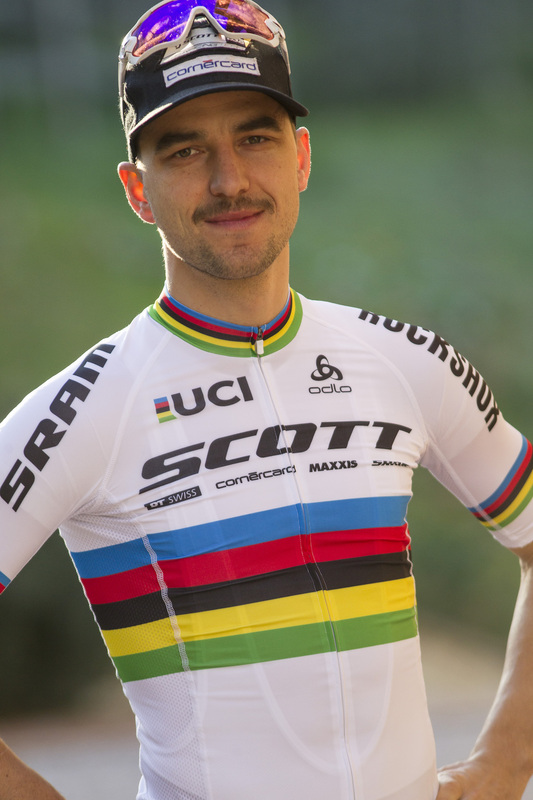 The team will be called Scott-SRAM, and will carry over the Olympic winning talents of Jenny Rissveds and Nino Schurter, albeit with the addition of some new names to the team, and some changes to components sponsors. With SRAM as a title sponsor for 2017, the Scott race bikes will be running a full RockShox setup rather than the DT Swiss forks and shock from previous years. Wheels will remain DT Swiss, but Syncros will handle the rest of the component duties rather than the Ritchey items from last season. There’s some fast legs there! 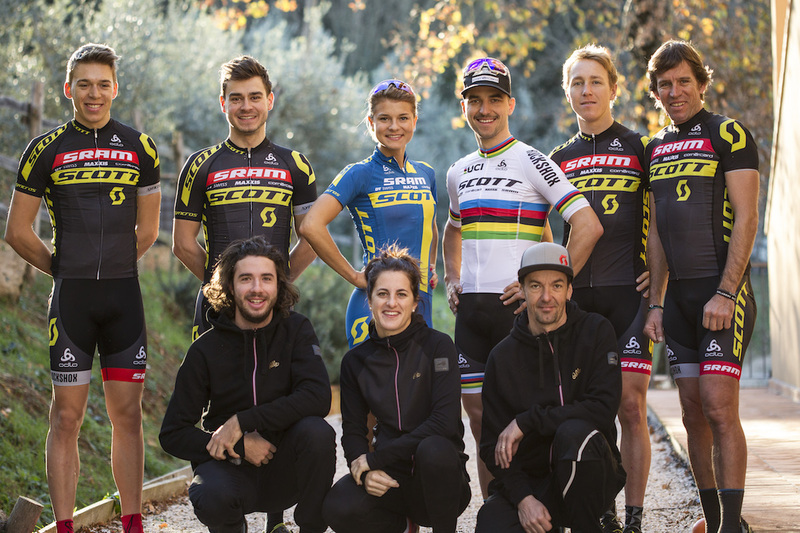 SCOTT-SRAM MTB Racing Team is the new name of SCOTT’s global MTB team for the next four years. SRAM has been a great partner of the team since the very beginning in 2002. Now as a title sponsor, the partnership includes RockShox as the suspension partner as well. “We are excited to work with SRAM and RockShox towards our long term goal- the 2020 Olympic Games in Tokyo“, says Team Director Thomas Frischknecht. Olympic Gold medallist, Jenny Rissveds, has signed on to the Scott-SRAM team. Olympic Champions Nino Schurter and Jenny Rissveds are happy to welcome a new team member onboard, UCI World ranking no. 5 Matthias Stirnemann. 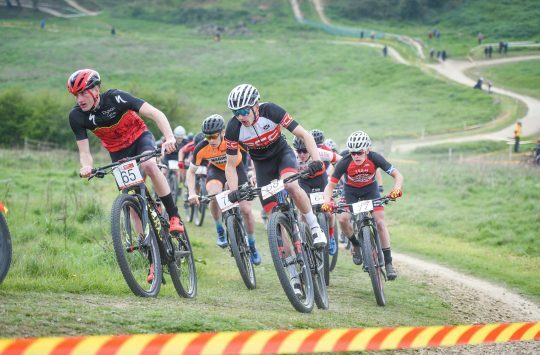 The Swiss talent will not only be a strong addition to the World Cup races but also ride aside Nino Schurter at this year’s Cape Epic, which will be the first highlight of the 2017 season. Andri Frischknecht, who will race in the Elite class for the first year, will team up at Cape Epic with former U23 World Champion Michiel van der Heijden. XC powerhouse, Nino Schurter, aims to continue his dominating form in 2017. Not shown in the team picture is Marcel Wildhaber. 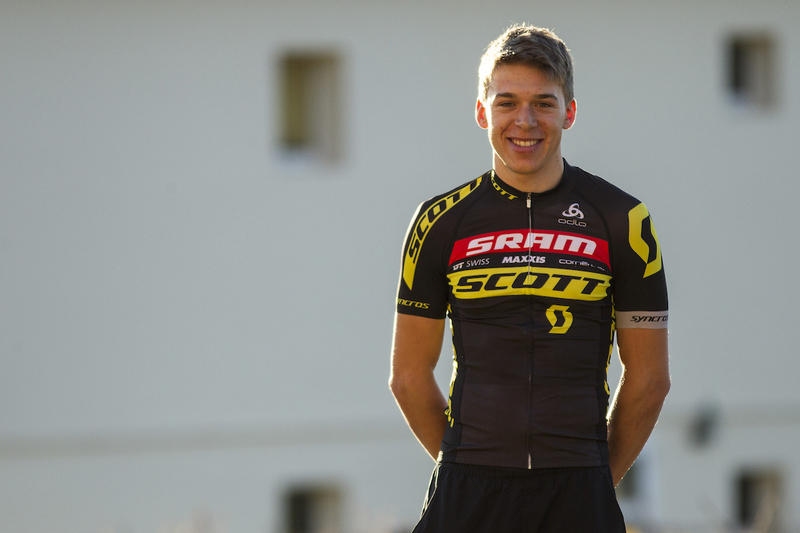 The Swiss cyclocross specialist will also ride in the new team colors. #yanickthemechanic Yanick Gyger gets supported by Kurt Gross, our new wrenching force. As well new to the team is our physio Julia Hegar. DT Swiss remains as a wheel sponsor for 2017, but the team will be rocking RockShox forks and shocks this year. The first training camp in sunny Tuscany with the new formation is already history. Massa Vecchia offered perfect conditions to get started with the new equipment. The team still relies on the fast wheels of DT SWISS. The new bikes are now equipped with SYNCROS components. The choice of tires is MAXXIS. 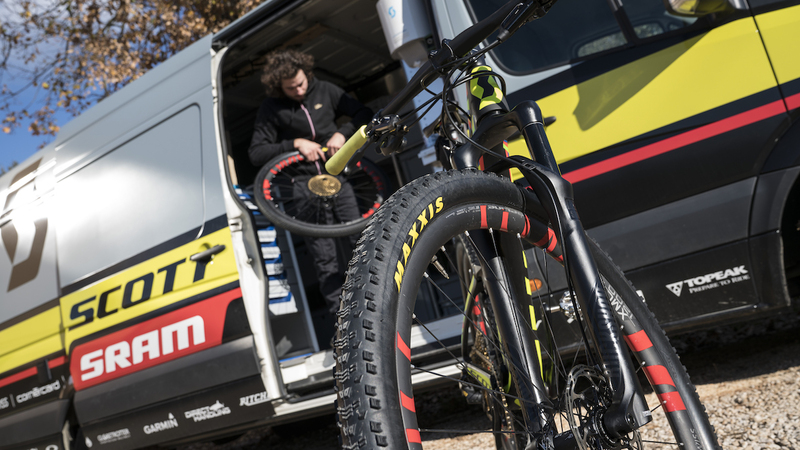 Nino already won the Olympic race on MAXXIS and with this strong brand we see a great potential for developing great tires for the future. It has been many years now that the team is equipped with ODLO clothing on and off the bike. Also remaining as a long time sponsor is the Swiss credit card company CORNERCARD. 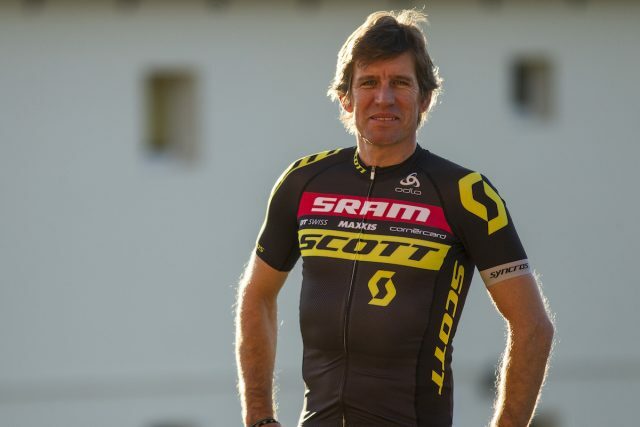 Team Director of the SCOTT-SRAM MTB Racing Team, and all-round mountain biking legend, Thomas Frischknecht.